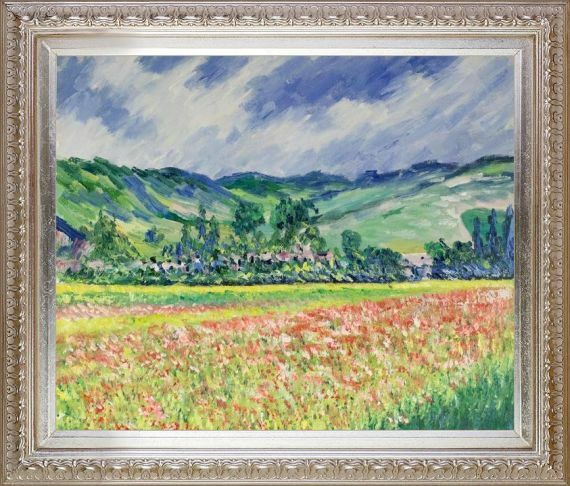 Moderne Blanc Frame 20" X 24"
In 1885, Claude Monet was living happily in Giverny, a rural part of France. 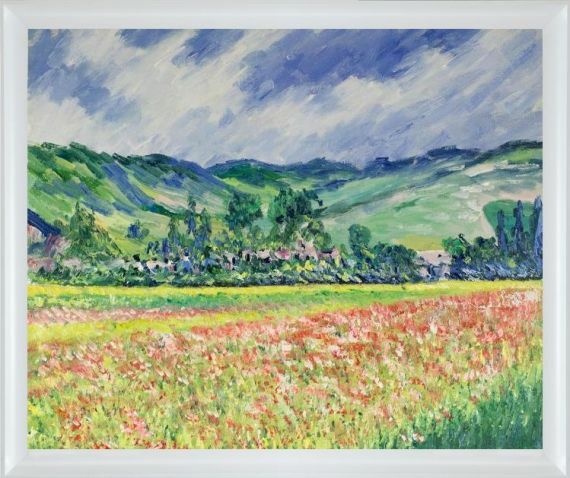 This area just outside of in the countryside featured breathtaking landscapes, where Monet used his time as an opportunity to perfect his plein air painting. 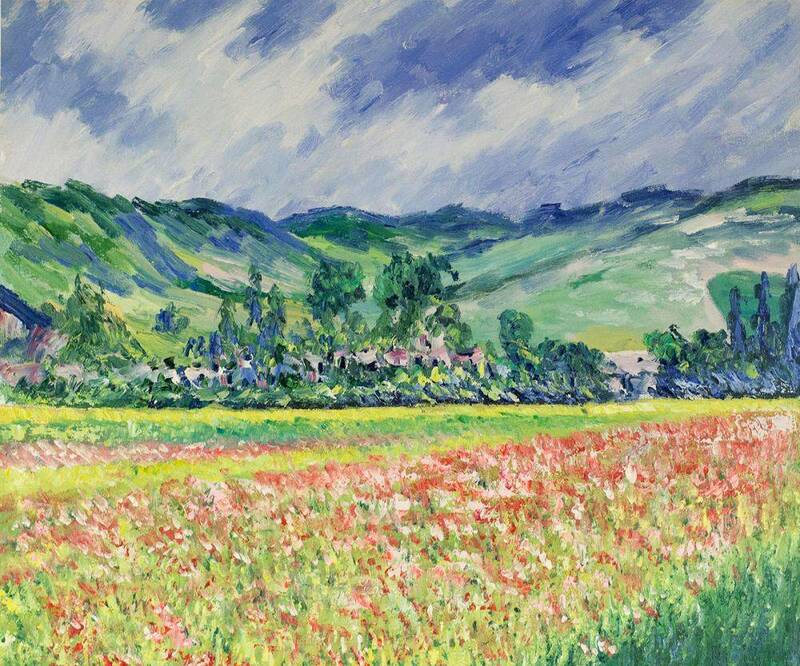 In Poppy Field in Giverny, Monet displayed just how vibrant and charming this natural landscape really was. 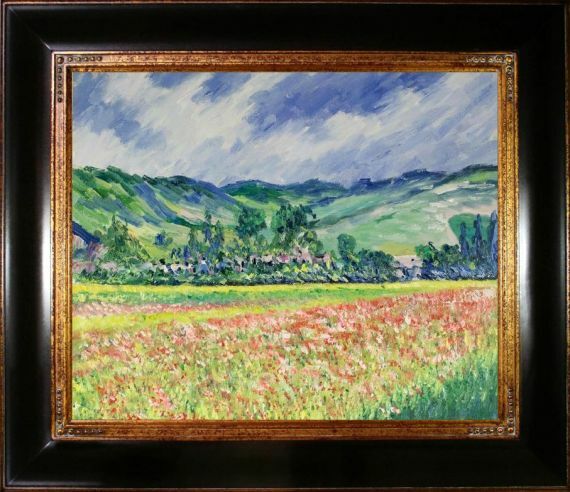 He also demonstrated his mastery of the Impressionist style by capturing the movement and fleeting nature of a summer's day. 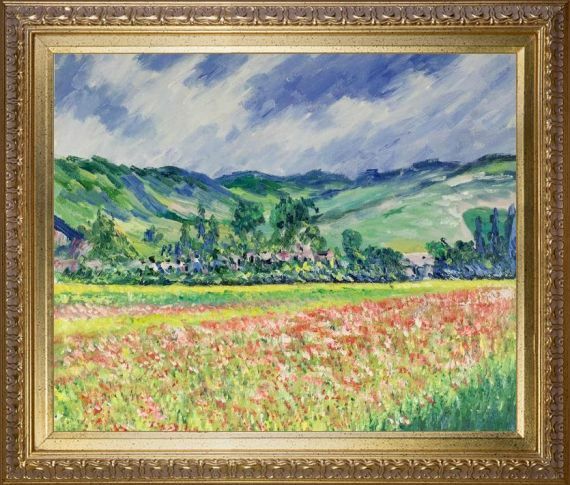 The bright blue sky dusted with wispy clouds hangs over the lush green fields, decorated with bright red and yellow flowers. 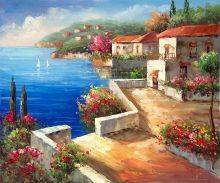 It is a spectacular sunny day captured by a master. 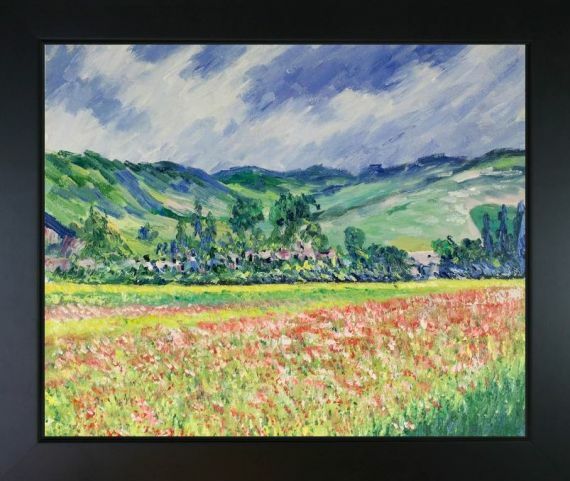 Color Palette for Poppy Field near Giverny is empty.